Last edited by MeatyMac; 03-10-2019 at 12:14 PM..
Wow, what style is that considered? Gyuto, 210mm, in 52100 carbon steel. It’s an interesting blade, the steel if alive, it reacts to food like you see above and patinas in an instant, but cleans up; it’s a high maintance steel and will rust if you leave it wet, I apply a food safe Japanese.oil during storage. The edge is razor sharp and slightly toothy and the blade is thin, slicing is very effortless and accurate, for a tall blade it’s easy to steer because it’s razor sharp and thin; it’s considered a Chef’s knife but it’s too thin for an all purpose Chef’s IMO. The maker has an impressive story and philosophy, his ‘zero point’ philosophy, he talks about it in the link. Last edited by MeatyMac; 03-14-2019 at 4:40 AM.. 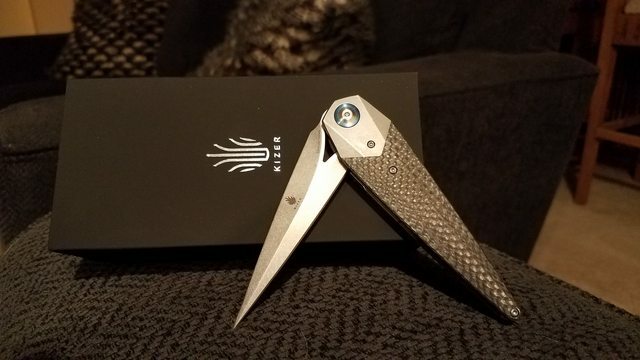 So I just got a Kizer Soze for a good deal and said what the hell. It's not the most practical EDC but a nicely made knife nonetheless. The false edge can easily be sharpened if someone wanted too. I like Kizer knives. Very good quality for the price. I bought a Kizer mini Sheepdog. It was my everyday carry until just recently. I picked up a Benchmade Blue Bugout which has become my EDC. Last edited by Mr.Cip; 03-14-2019 at 3:40 PM.. 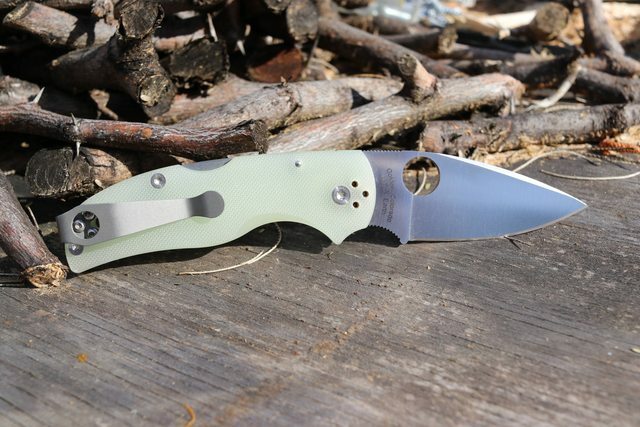 If the Bugout was $20 less, or the same price with nice G10 scales instead of the FRN (plastic scales), I would consider getting one. But, just recently picked up a Real Steel H5 Gerfalcon for just $34! I had the same thoughts too. I was also concerned with the fiberglass-reinforced nylon (FRN) scales. It is very very light and thin. It fits my EDC for now. I have several that I rotate depending on my needs or whim. 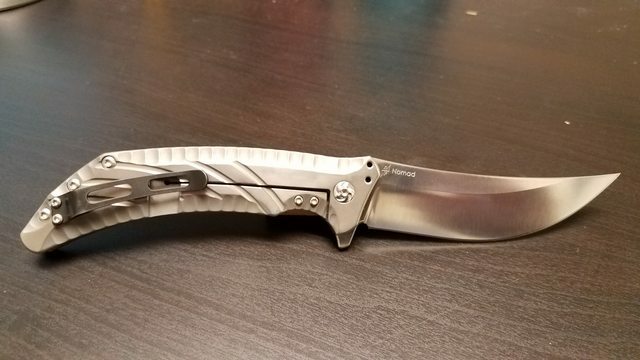 I wasn’t planning on buying this but one of my knife dealers was having open house after they relocated, A Perfect Edge Cutlery in San Mateo, and I was working at their event on Saturday helping out and they had a ZT 0301 in the case and a new one in the box and the owner gave me a great deal so I grabbed it. They’re going to be having a clearance sale coming up in April, if you’re in the area. Last edited by MeatyMac; 03-18-2019 at 7:08 AM..
That would be considered a relic from the bronze age. 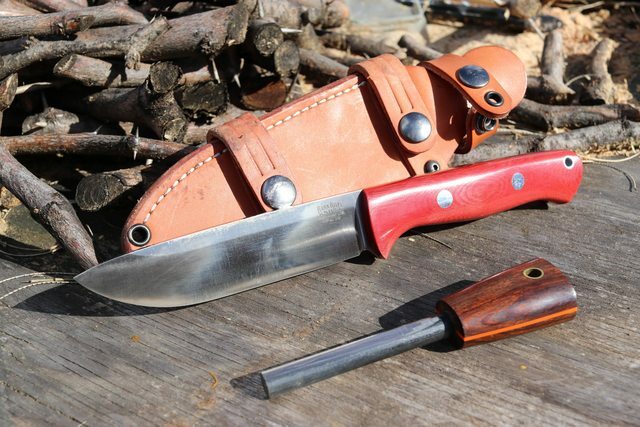 That knife is beautiful with all that patina after use... I see that on some Moras after using where the patina cleans up even if I want it to stick. 52100 is close to the SR-101 Busse steel. I use quite a few stripped ones or factory polished ones and they do patina pretty easy with food or water, but even dry in kydex they stay spot free. Supposedly the SR-101 has a couple elements in slightly different amounts than 52100. I really like 5160 too. Chris Reeve Large Damascus Sebenza with wood inlays. 3 years but it did arrive. Yes it was ordered around September / October of 2015. 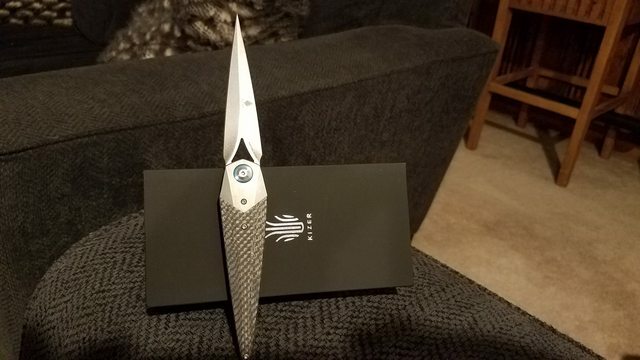 Its a dang nice knife but that wait time is killer. Geesh. I waited 1 year on a Busse one time and that was too long. 3 years go by I might be collecting completely different types of knives, hahah. Glad you like it. Busse will take you money about 14 days before they ship... so sometimes the hit is unexpected. I guess that is much more preferable to them keeping your funds for a year. Survive! got banned from bladeforums for those type of shenanigans. I’d stay away from them. Too many other good options to put up with those type of issues. Glad yours came in though ryno. Welcome, don't listen to readysetgo. I just won a Glock knife at the local GSSF match. 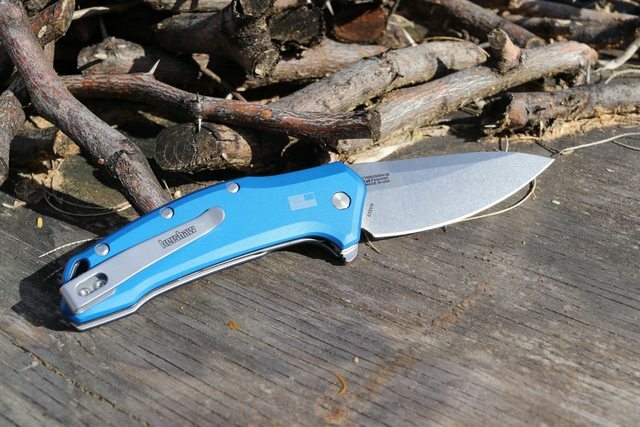 US made Kershaw Link. Bought 2 and swapped parts around to get the blue scales, blue back spacer, and S35V steel. 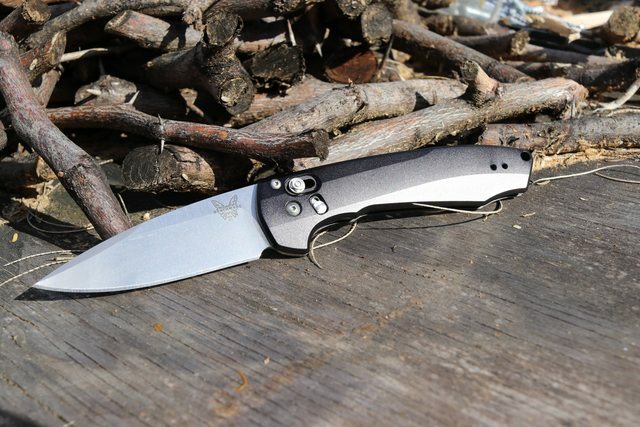 Benchmade 420 in S90V, super light weight. 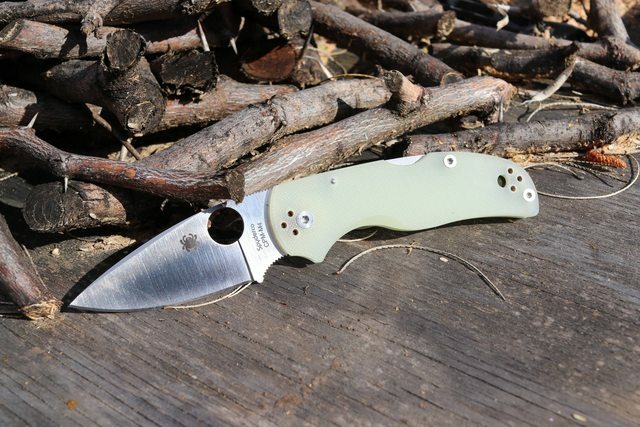 Limited Sprint Run Spyderco Native 5 in M4 steel, natural G10 scales, and a titanium Lynch deep carry pocket clip. Lastly a stoopid sharp BRK Bravo 1.25 LT in CPM-3V and red linen micarta scales. I almost cut off a finger the first time I used it camping. Last edited by MongooseV8; 03-21-2019 at 4:47 PM.. I waited eight years (yes 8) for a Scott Cook Lochsa. I've waited multiple years for a couple Charles Marlowe folders. Close to two years for a Mayo. Sometimes, if you want really cool knives and don't want to pay secondary market prices, you have to be patient and build a relationship with the maker in my experience. ^^^ I agree, I’ve waited years for custom knives and guns, almost 4 years once for a Ralph Bone folder, over 4 years to get a Parker Brothers SxS reblued and restocked, I just ordered a Randall Made model 28 while I was at their factory in Orlando, FL, Gary Randall took my order and deposit personally, I’ll happy wait the 5 years to get that one. Sometimes I think it’s an age thing, our modern western life demands things now, retail grooms people’s immediate wants with an immediate supply of mostly massed produced goods and generations get used it the convenience, when they have to wait for something and can’t get the gratification of the purchase immediately, as they’ve become accustomed to, you see the reaction we see here. The Survive! 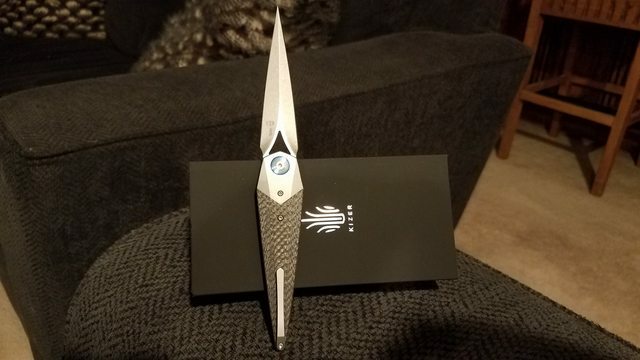 knife looks very nice, but what about it would take so long? Is the company that back ordered? I guess I’ve just never heard of them. Ok, but I would not count the time spent building a relationship as the time it took between when you ordered and paid... to when the knife shipped. If you waited a few years for books to open back up from a one-man custom shop, sure that's different I guess. Some of the knives with insane wait times just look like Bark Rivers to me. Like the Survive.. reminds me of my ESEE or Geissele Abe and Moe. The wait times I was referring to weren't building the relationship, they were from time of order to receiving the knife. Last edited by MeatyMac; 03-22-2019 at 9:27 AM.. 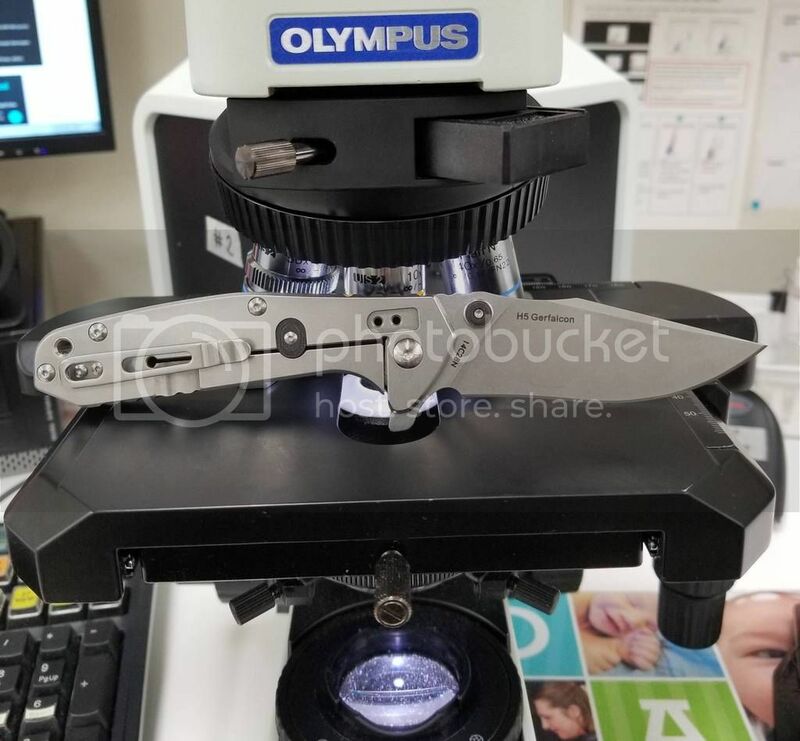 I assume this is a more vintage blade? She sher is purdy. Well just got another Kizer, this time the Nomad. 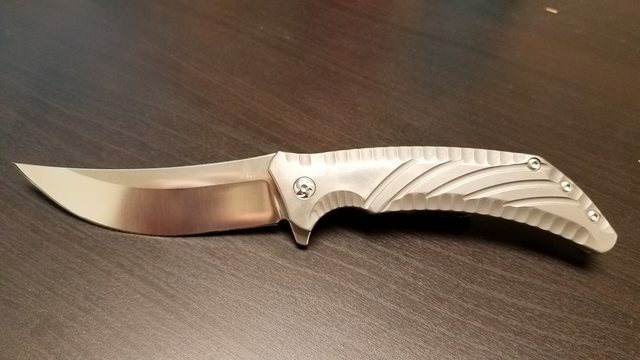 3.8" S35VN blade and Ti handles with polished flats. Took it apart and noticed they use ceramic bearings and detent ball. Im really starting to like the Kizers I have so far. Very well built! Doug Ritter RSK came today! Also snagged a Cold Steel Broken Skull few weeks ago, it's crazy lightweight. Did you pick up the Ritter from the preorder...or? Hogue is making nice stuff IMO. Bought on backorder Feb 22, shipped Friday and delivered today. Yeah I'm pleasantly surprised with Hogue. 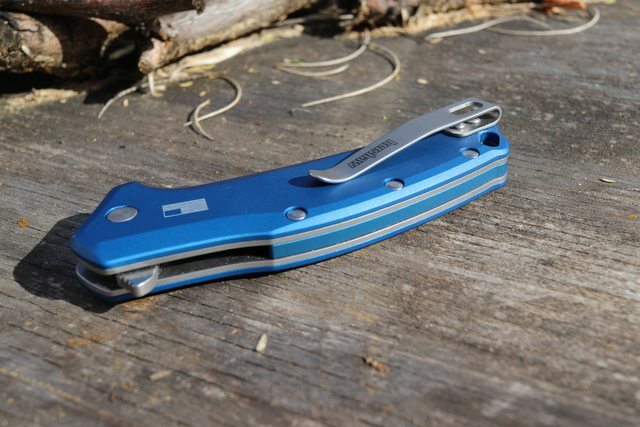 The pocket clip is perfect, nice and springy. Assembly is excellent and very smooth action, didn't need to adjust pivot pin. Nice. Been waiting for them to catch up on orders before I take the leap. Might have to pull the trigger soon. Also thinking Cold Steel AD-15 or AD-10 or both. And...been waiting too long on a Spyderco Police 4. That AD-15 looks really interesting, I shunned Cold Steel for a long time, but dang was I missing out. CS makes some nice blades from bargains that work to refined pieces that are still pretty affordable - how it should be for imports, IMHO. I have been wanting a SRK for a while, grabbed one last night when they hit $26... thanks to your post. Almost pulled the trigger at $40 a few months back. Amazon is pretty hilarious with listing some at $80 and some at $26... I know it is more like EBAY these days for many items. I had a user SYKCO 511 this will replace - I bet it will do as well for 1/4 the price. ECOP on EBAY has a similar price - might be them on AMAZON @ $26 - trusted source. Yep it is them... I got a Tenacious SFO with OD green scales from them once for $14 shipped. Last edited by crufflers; 03-26-2019 at 8:21 AM..